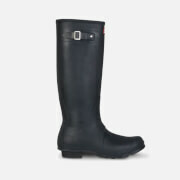 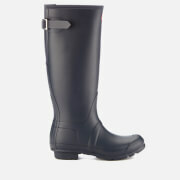 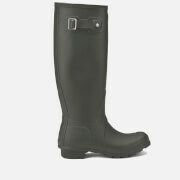 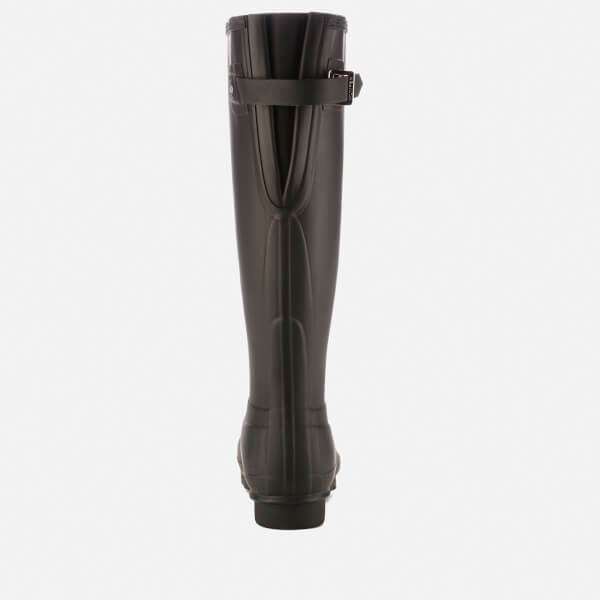 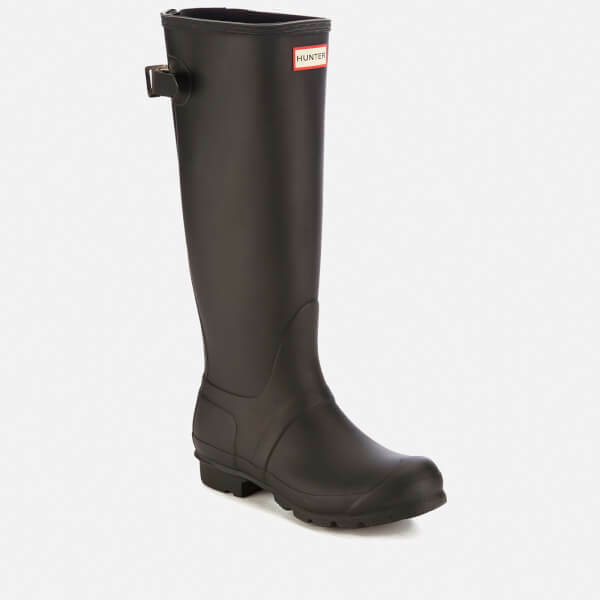 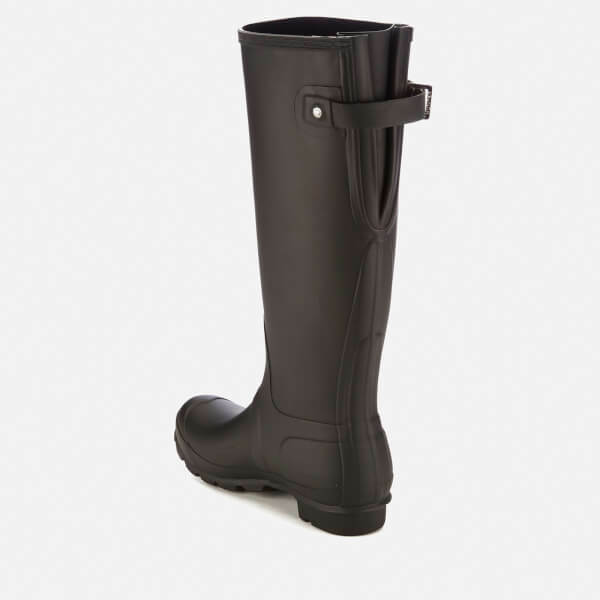 Women's Original Back Adjustable Wellies from Hunter with a matte black finish. 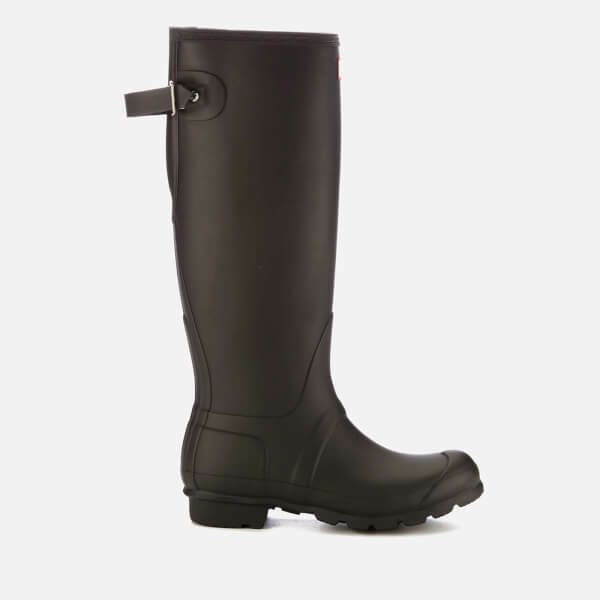 Handcrafted from natural, waterproof rubber, the iconic, knee-length Wellington boots comprise a comfortable textile lining and rear gusset with adjustable buckle for a custom fit. 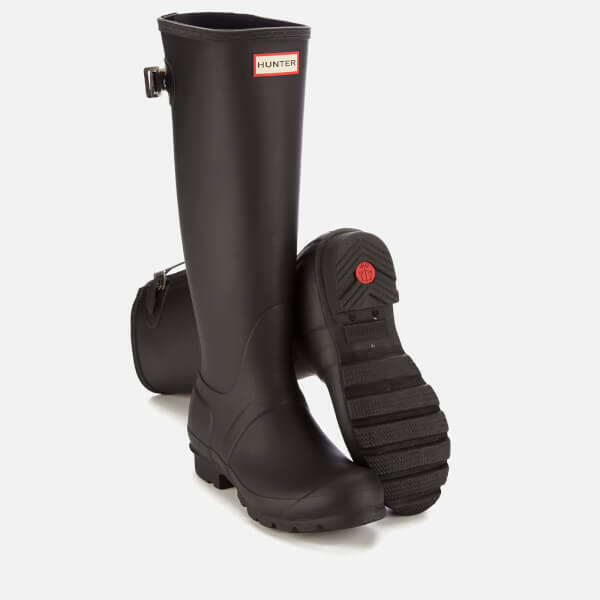 The calendered tread offers both traction and durability, whilst the traditional moulded lines, Hunter moustache and front logo add signature qualities.